The Airtankers then and now. 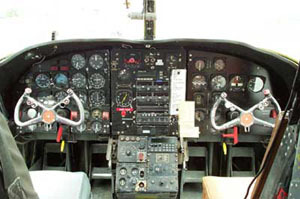 Marsh Aviation of Arizona was contracted to develop a prototype of the turbine powered S-2 Tracker. 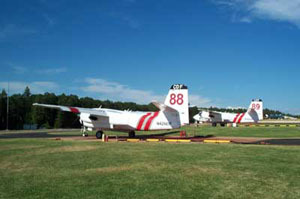 The prototype was Tanker 180 and first flew in 1989. 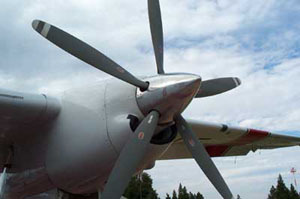 This model was based on the S-2A model and the obvious external differences were the powerplants and the nose section. In 1999, the CDFFP put the new Turbo Trackers (these models based on the S-2E) at the higher density altitude bases. 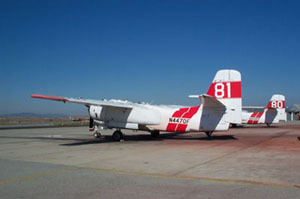 The older S-2A models are projected to be phased out by the start of the 2004 fire season. Many obvious changes were made to the Stoof's panel. 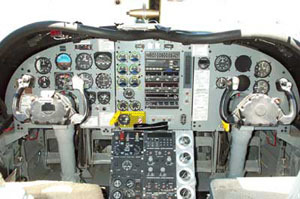 In addition to upgraded avionics, note the control yoke has been modified from the panel to the floor. 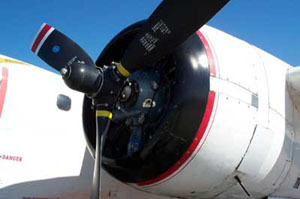 The R-1820 radial engines were replaced by the new Garrett Turboprops. In addition to greater airspeeds and higher payloads, these new powerplants have the capability of reversing upon landing to slow the aircraft safely at short airstrips and can also provide air conditioning in the cabin. The tail wheel that was the original design of all S-2 Tracker models has been eliminated and replaced with a tail skid, I believe to eliminate drag. 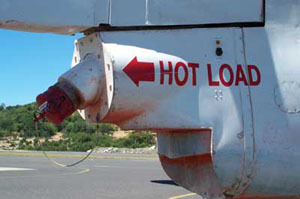 The tail wheel was essential when the Stoof was catapulted from the deck of aircraft carriers, but is now a non-essential part of the firefighting role. 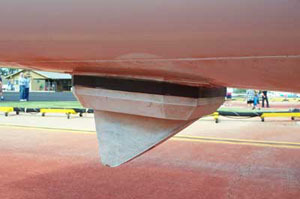 The tail of the Stoof has been further modified to facilitate loading of retardant. 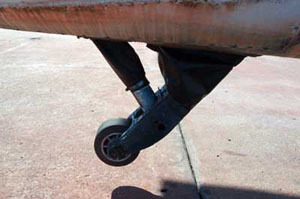 The receptacle for the Turbo Tracker is angled down so less effort is needed to hook up the filling hose to the aircraft.